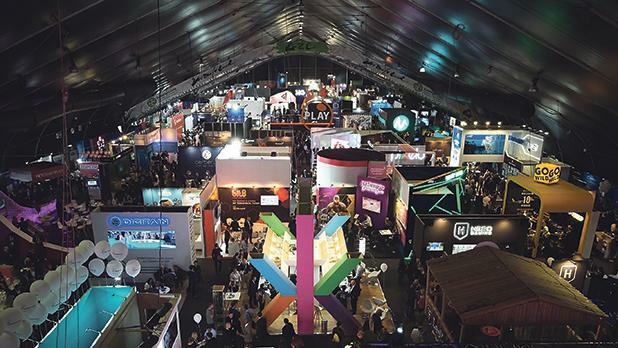 SiGMA has undergone something of a transformation in recent years – the inaugural show in 2014 saw the company corner an untapped niche of opportunity within the local iGaming market. Buoyed by its early success, SiGMA expanded their operations for 2015, putting on a groundbreaking show and doubling its numbers. With attendance figures on the rise, 2017 marked an entry to Europe, but it was 2018 that saw it take the plunge and become a world-class event, with an elite selection of delegates, policy makers and thought leaders pouring in from across the globe. It is this kind of international support and interest that has helped propel SiGMA into truly becoming the world’s iGaming village. Through a commitment to quality and years of successful operations, SiGMA has nurtured the development of a strong brand, allowing for its evolution into a global influencer on the iGaming world stage. In 2018 the company expanded operations and launched a well-received show dedicated to the emerging blockchain sphere. The show was also the launch-pad for three key pieces of government regulation on blockchain and DLT, and the initiation of a government AI task force. The 8,500-strong event brought eminent speakers such as W. Scott Stornetta, John McAfee, the Winklevoss Twins and Sophia the Robot to Malta’s stage, taking the scene by storm and securing its place as the leading event in block tech. In 2019, a fast-growing technology scene will see the Malta AI & Blockchain Summit up its game, hosting two major shows in the same year and adding new verticals into its remit. The show aims to attract a truly global crowd of exhibitors by boosting its offering to include AI, Quantum Tech, IoT and Big Data. The company has also launched a Medical Cannabis Summit – Cannabiz Summit World, where it will offer a platform for leading researchers and regulators to explore the revolutionary ability of the cannabis industry to boost economic growth and revitalise the health industry. The event will lay the foundations for an evolutionary leap in medical cannabis as the worlds of science, technology, and agri-business converge. The summit is a reflection not only of Malta’s efforts through Malta Enterprise and the Malta Medicines Authority in attracting the most reputable firms to the island, but is also a reflection of the direction many states worldwide are taking in creating the right legislative framework for medical cannabis research, production and/or consumption. In tandem with this growing industry, the Malta division will continue its growth over the next couple of years, with recruitment to boost its core team at the heart of future plans. As we move further into the second quarter of 2019, CEO and founder Eman Pulis, will spearhead a new division in Dubai, where he will oversee the set-up of new offices and coordinate SiGMA’s expansion into new markets. The move will take advantage of an expanding interest in the Middle East for this emerging technology and its potential to invigorate the economy and shake up governance. While Malta continues its focus on regulation, the Emirates and its neighbouring states are looking at blockchain with fresh eyes, giving the company the space it needs to flourish. The choice of direction also sidesteps a collision of paths with other major companies looking to get a finger in the blockchain pie, with industry players instead eying the United States as their base for business. As part of the company’s strategic growth, the plan for 2020 will focus on strengthening core events in Malta and on the smooth running of the inaugural opening of the Emirates AI & Blockchain Summit. Rounding off an ambitious expansion plan, 2020 will also set the stage for the launch of SIGMA in the Philippines, with the event making its Asian debut in Manila.